Short on space but big on animals? Members of the animal kingdom come in many forms and sizes, and we've captured this hippo in precise detail. This highly collectible figurine will grace any shelf or surface with charm and interest. It makes a great stocking stuffer or party favor. 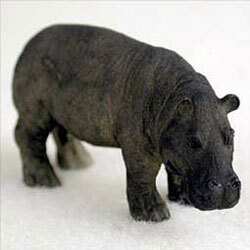 Hippo figurine measures approximately 2" tall.